1. I colored my hair and the result isn't what I wanted. How do I fix it? Unfortunately, color doesn't lift color, so in order to go lighter, your best bet would be to see a professional colorist to get the result you want in the healthiest and safest way. If your goal is to alter the tone or go darker, a store-bought demi-permanent shade should do the trick without causing damage. 2. So wait, what’s the difference between permanent and demi-permanent haircolor? Using varying amounts of ammonia, permanent haircolor is used to raise your hair level (Level 1 – Black through Level 10 – Platinum Blonde). It also changes your color's tone – meaning everything from red to violet undertones. Demi-permanents don't lift color level and are used only to change your hair's tone. 3. Does haircolor damage strands? If using color at home, make sure to follow all directions to avoid over-processing hair. When applied properly, damage should be non-existent. 4. I'm a newbie! This is my first time coloring my hair. Anything I should know? Start by applying color 1 inch from the scalp, moving toward the ends of your hair then working your way back to the roots. Since your scalp gives off heat, applying color to your scalp first can make your roots look lighter than the rest of your hair, otherwise known as Hot Roots Syndrome. Starting 1 inch from the scalp allows for a more even result. 5. Can I color natural hair? Of course! Just be aware that you might need more color depending on your hair's thickness, since it will require extra saturation for a better result. It’s also a great idea to find a hair color designed for women of color, since the product will have been formulated with your unique hair curl pattern in mind. 6. Does it matter how long I leave the formula in when coloring? Yes, it does. Leaving color in beyond the recommended time may damage hair and can lead to a darker end result than desired. 7. Is the strand test really that important? Yes. Though it's only a small part of the population, some people can have an allergic reaction to certain dyes. A strand test is also the perfect way to test drive a color before committing. 8. Can I color over my relaxed/bleached/permed hair? If it has been at least 14 days since you relaxed or permed your hair, coloring with a permanent shade should be completely safe. However, only a demi-permanent color should be used over bleached hair. 9. How do I keep my color looking fresh for longer? To help maintain your new hue, always use a sulfate-free shampoo and a good moisturizing conditioner. However, it's best to avoid moisturizing and oil-based shampoos since they have a tendency to lift color. 10. I'm going on vacation and plan to take a dip in the ocean or pool. How do I keep my hair protected? Easy! Use a bit of tap water to wet your hair, put some conditioner in and pull on your swimming cap. For more tips, tricks and color inspiration follow @official_darkandlovely on Instagram #wearedarkandlovely. 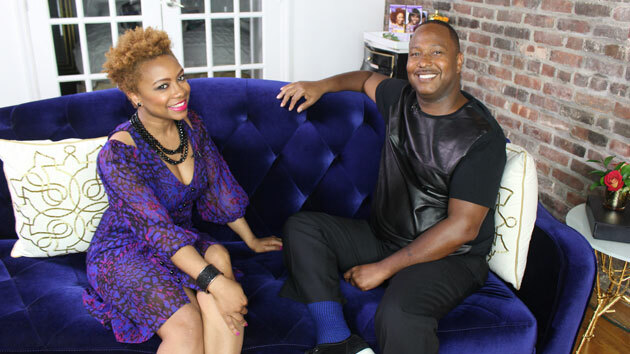 Also check us out on wendyshow.com to see our Oct. 2 makeover using Dark and Lovely Fade Resist! Dollar General is not responsible for the content above and disclaims all liability therefrom. Dollar General does not sponsor, recommend or endorse any third party, product, service, or information provided on this site. All content provided herein is for educational purposes only. It is provided “as is” and neither the author, Dollar General nor Triad Digital Media, LLC d/b/a Triad Retail Media warrant the accuracy of the information provided, nor do they assume any responsibility for errors, omissions or contrary interpretation of the subject matter herein.